From inception our focus has been on creating a company that is known for being fresh, fast and friendly... As we have grown as a company we have driven down into the details of restaurant operations to create and implement systems that make sure our vision gets achieved everyday. And as we have focused on our values our guests have rewarded us time and time again by join us for lunch or dinner. From our humble beginnings in a food truck in PA, with long lines of hungry guests nearly every time we opened our serving window. 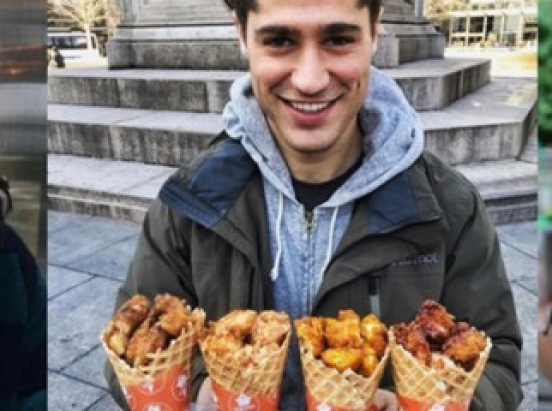 To realizing our dream of opening a unit in Manhattan to launching our first international franchise unit in Dubai, Chick'nCone™ has been received with open arms and hungry souls! Jonathan has been leading organizations, starting businesses, creating movements and working in the food industry since the age of 13. Jonathan first position as CEO was with the PULP, a dying newspaper in western Colorado, but under his leadership the PULP increased revenue by 700% in 18 months and has won several print awards. With over 20 years experience in restaurant management and organizational leadership, Under Jonathan's leadership Chick’nCone™ will continue to experience clear vision and aggressive growth.